But for the love of a good woman, George Washington’s Mount Vernon might never have been saved. The restoration effort was born of a boat ride, specifically Alexandria-born South Carolinian Louisa Bird Cunningham’s 1853 Potomac River cruise. May we always remember George Washington, his military service and the Mount Vernon Ladies Association of the Union. The Dames of 1846 was established in Texas in 1901 in honor of the Soldiers of the War with Mexico. The Mexican War was West Point graduate Robert E. Lee’s first combat experience. “As the mothers, wives and daughters of the warriors of 1846, we believe that the time is over-ripe for us to commemorate the bravery and devotion of those men who repelled the invader,” Dames of 1846 Founder and National Commandant Mrs. Moore Murdock wrote in 1905. President Abraham Lincoln, in consultation with his Quartermaster General, decided to bury some of the Union dead on the grounds of Arlington House, George Washington Parke Custis and his son-in-law Confederate General Robert E. Lee’s family home. The property was sold to the federal government on January 11, 1864—illegally so as of 1882—and declared a military cemetery. Both Union and Confederate graves were decorated. The custom became a celebration, especially in the North. The South disengaged and remembered its soldiers separately. In April 1885 Edgar Warfield and the R.E. Lee Camp of Virginia Confederate Veterans asked Alexandrians to construct a monument in honor of local veterans. In 1888 the Alexandria City Council approved the project, permitting placement of the controversial Statue—Appomattox—at the intersection of Prince and Washington Streets. The Old Presbyterian Meeting House dedicated its Tomb of an Unknown Soldier of the Revolutionary War in 1929. More than 30 veterans of the War of 1812 are buried in the Presbyterian Cemetery. The Veterans of Foreign Wars 1941 World War I Memorial, located in Alexandria’s Union Station Plaza, celebrates, as of 1918, all who died in America’s wars. The Memorial’s base, its five inscribed steps begin with the War of Independence of 1776. The fourth step honors veterans of the 1898 Spanish-American War. In 1917 Jim Crow America entered Europe’s ongoing war. President Woodrow Wilson first promoted Peace without victory. Congress passed the Selective Service Act instead. Then in April the country voted overwhelmingly in favor of war. Soon after, the American War Mothers formed. Would-be voter Alice Paul and other NWP suffragettes picketed silently in front of the White House. “Prior to World War I the country was happily isolationist,” Lyceum Director Jim MacKay said. “At home the war meant large scale aid programs to help refugees in Belgium and France. 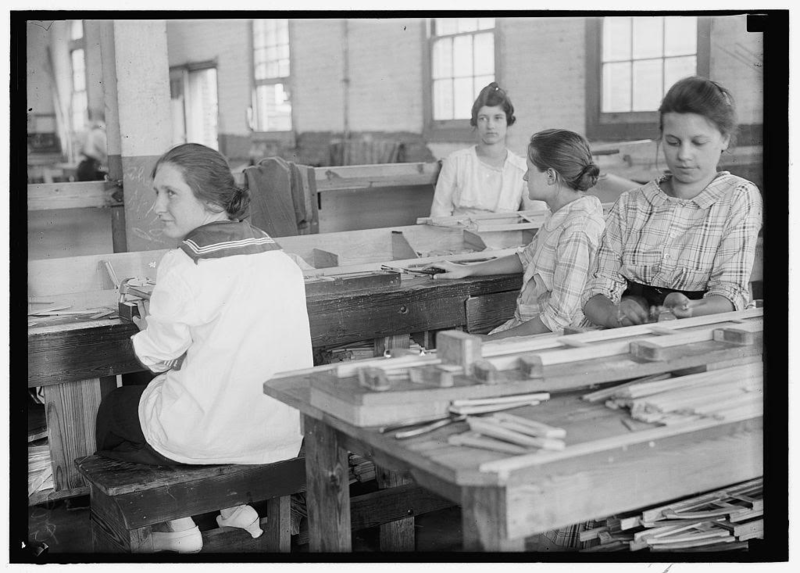 The war also meant wartime production jobs for thousands building ships and aircraft.” By 1918 women constituted 19% of the aircraft industry workforce. In Alexandria Guardsmen and draftees went to war and women “built hydroplanes” for Briggs Aeroplane Company. “The unanswerable logic of suffrage as a war time issue finds its best demonstration [in the fact] that nine great states have extended suffrage to their women since 1915,” Mrs. Carrie Chapman Catt, president of the National American Woman Suffrage Association said in 1918. Congress granted women the right to vote only 14 days before the 1919 peace Treaty of Versailles was signed. The states ratified the 19th Amendment on August 26, 1920. The U.S. Supreme Court, despite Maryland’s refusal, “declared the 19th Amendment constitutional” in 1922. 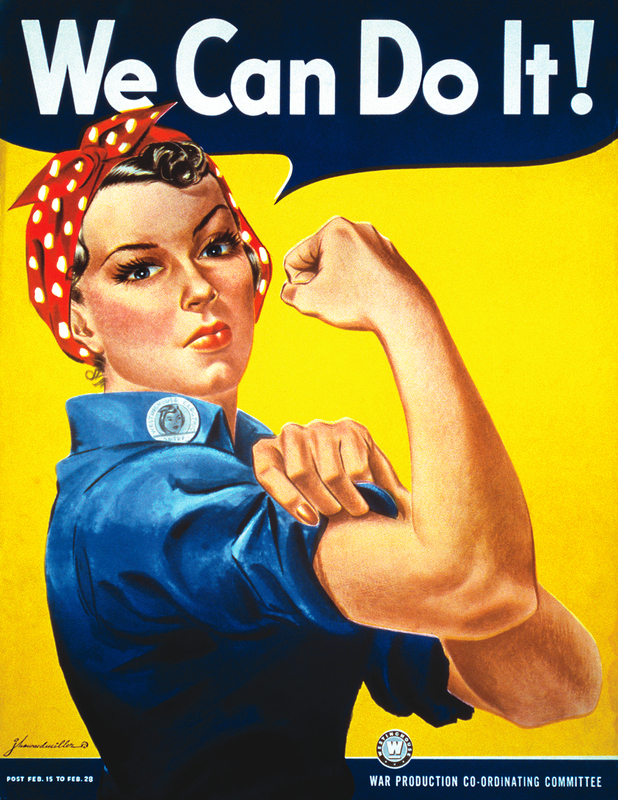 By World War II’s end, in 1945, Rosie the Riveter was a munitions icon and one out every four married women worked outside the home. America’s segregated military ended with the Korean conflict in 1953. Congress passed the Gulf of Tonkin Resolution in 1964; six months later Vietcong guerrillas attacked the U.S. military base at Pleiku and the U.S. went to war. The 1973 four-party Paris peace agreement included North Vietnam, the Vietcong, South Vietnam and the United States. Alexandria’s Captain Rocky Versace Plaza and Vietnam Veteran’s Memorial was dedicated in 2002. “To see men without Cloat[hes] to cover their nakedness—without Blankets to lay on—without Shoes, by which their Marches might be traced by the Blood from their feet—and almost as often without Provisions as with; Marching through frost and Snow…is a Mark of patience & obedience which…can scarce be parallel’d,” General George Washington wrote from Valley Forge in 1778. Veterans Day originated as Armistice Day on November 11, 1919, the first anniversary marking the end of World War I. Remember the fallen, our soldiers and their families this Veterans Day.